While the party has not announced that Mr Rabuka has officially stepped down, some groups within the party are agitating and asking when the retreat will happen. SODELPA still has to carry out a review of its performance in the 2018 General Election as it did post 2014 election in a retreat at Nadave, Bau, Tailevu. In that retreat it was suggested that whoever led the party into an election defeat should step down. The idea was formalised in sweeping changes to the party constitution more than a year later. The amended constitution stipulated that the party leader should automatically step down after an election defeat. Then party leader Ro Teimumu Kepa subsequently relinquished the role. The process engineered by so-called reformers split the party and created bitter acrimony between the two rival groups. 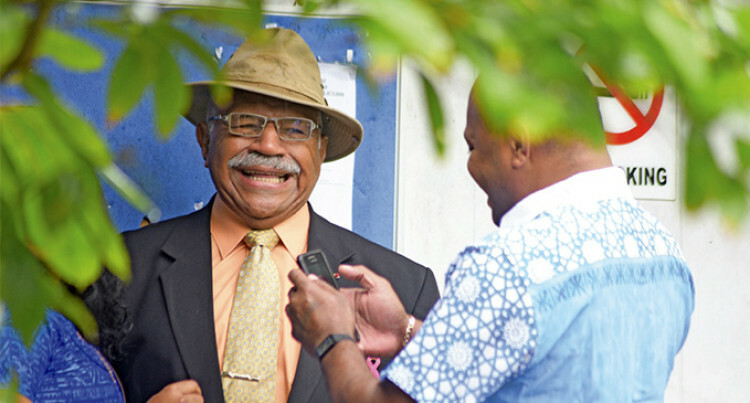 Sitiveni Rabuka was elected the new party leader and the party went on to win six extra seats in Parliament in an amazing recovery – but not enough to win the election. The party has not announced that Mr Rabuka has officially stepped down. Some groups within the party are agitating and asking when the retreat will happen. Questions by the Fiji Sun sent to general secretary and member of Parliament Adi Litia Qionibaravi have not been answered. It is understood that the party future hangs on the retreat, after which Mr Rabuka will officially quit as party leader. Because the party did exceptionally well and surprised many, there may be a move to keep him. That might be unconstitutional and require a constitutional amendment. Whatever happens, it demonstrates the growing interest about SODELPA’s plan for the next four years. If Mr Rabuka steps down as leader who will replace him? That’s the question. There are several contenders. Mr Rabuka might be asked to hold on until his replacement is elected. But after the retreat, the next item is for the management board to convene to decide on the date of the AGM and venue. There has been a debate on the possible venues. Savusavu is being proposed by the Vanua Levu bloc while the Viti Levu constituents want it in Suva to save costs because a majority of the members are in the main island. The spirit is still high after the election and there are many members keen to start working towards the next election. There is optimism that 2022 will be their year. But it won’t happen unless the party sorts out these internal issues. At the same time the FijiFirst Government continues its relentless development drive to prove it is keeping to its promises to the people. SODELPA would have to work twice as hard to retain the six extra seats it won. It starts with the retreat that its members are calling for.